Whether you are looking for an open concept, new(er) build, antique or modern, Janis Hennessy can help you find the perfect home. Janis is a full time real estate professional in New Canaan, Darien, and surrounding towns. As a realtor for over 20 years, she continues to love it as much today, as the day she showed her first home. Janis specializes in working with clients moving from New York City who want a place to call home that perfectly reflects their own unique style and dynamic. From building a targeted list of properties that fit her client's needs and wants, to the moment a client receives the key to their new home, Janis is on your team all the way. 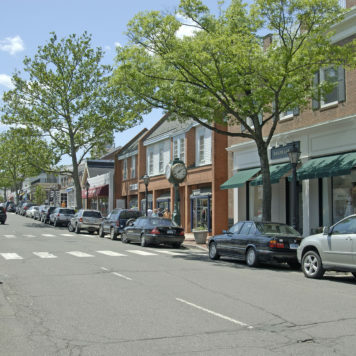 Janis has been very active in the New Canaan community since the day she moved here, with her husband and two sons, who went through the New Canaan school system. She is currently the President of the New Canaan Board of Realtors and MLS for 2018-2020, a past Board of Director for the New Canaan Board of Realtors, and was recently re-elected to the New Canaan Tax Board of Appeals 2018-2020. Some of Janis's favorite hobbies in New Canaan include playing paddle tennis at Waveny Park, spinning and pickle ball at the YMCA, playing bridge at Lapham Community Center, and walking all of the beautiful parks and land trusts throughout town. Janis is also an active member of the Congregational Church of New Canaan. She holds a BS in Business from Trinity College/University of Vermont, as well as a paralegal certificate from the University of Connecticut. Her professional affiliations include membership in the National Association of Realtors, Connecticut Association of Realtors, New Canaan Board of Realtors, New Canaan Multiple Listing Service and SMART MLS. Janis Hennessy is an outstanding real estate broker! Janis's guidance on the sale of my home and her endless pursuit to find my new home clearly demonstrate her knowledge of the market and willingness to go above and beyond in exceeding my expectations. Based on my experience, I highly recommend Janis and will work with her for all of my future real estate needs. All the best!